Happy Friday everyone! Today, I’m so excited to share with all of you the first of a three-post series with Alice Lane Home Collection, to reveal my closet/office space. It all started over a year ago. 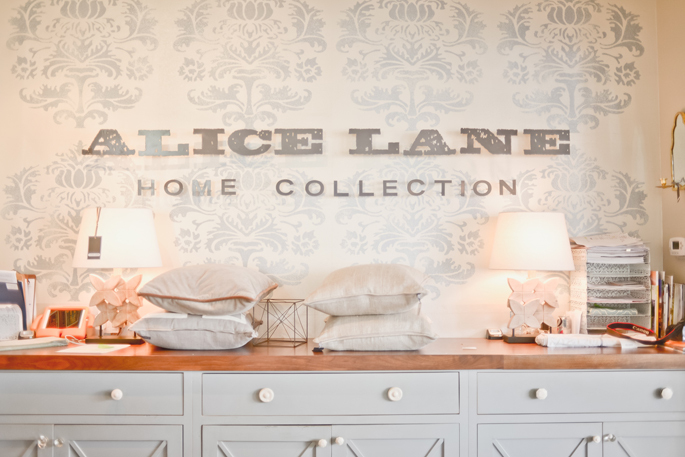 I stopped into Alice Lane (a beautiful boutique located in Salt Lake City and Orem, full of a collected mix of quality pieces and timeless designs) looking for a comfortable, yet chic, chair for my desk. While I was there, I started explaining to one of their designers about the type of chair I was looking for and the space it was going in. One thing led to the next and this collaboration was born and I couldn’t be more excited about it! Jessica Bennett, design principal, and Christy Cook, a senior designer, at Alice Lane came over to my home (not my current house, my old one) and walked the space, measured and asked me questions about what my dream closet/office would look like. Through out the meeting we all agreed I needed a space that was feminine and functional. Jess and Christy went to work on the design process and a few weeks later we had a meeting where they presented the room design (photographed above). Initially, the design was meant for my office/closet space in my previous home but we ended up selling that WAY sooner than expected (like two years sooner) so we had to put this collaboration on hold while Drew and I built our new home. I was excited to be building again, but I was SO sad I was going to have to wait an entire year to finally live in my dream space that Jessica and Christy designed for me. After a few minor tweaks becase of the change in floor plan, we were able to use the same design for the new home and move forward with the collaboration. Let me just say, it was well worth the year wait. I can hardly wait to show you the big reveal on Monday morning. Be sure to check back tomorrow for more! This post was brought to you in partnership with Alice Lane Home Collection. Cannot wait for the big reveal. Can’t wait to see it! All the instagram photos have had me dying to see the whole thing! Ah! I absolutely love this! I can’t wait to see more of your beautiful space! That sounds amazing – I can’t wait to see it! Those pictures are gorgeous and I bet your space looks amazing too! I can’t wait to see it! I know it’ll be fabulous like you! I am so excited to see your new space! I moved into a house with a walk-in closet in March and have been slowly planning how I’d like to rearrange and organize things. Can’t wait to see yours as inspiration! So excited to see more about your closet/office space. 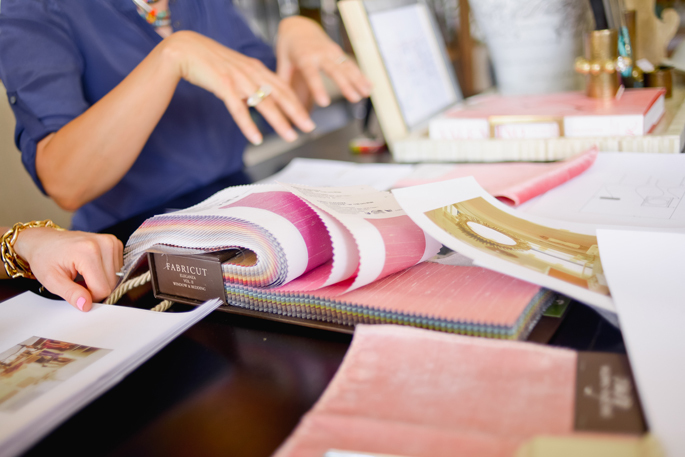 Alice Lane sounds/looks like a beautiful interior design company! Love your closet! Fabulous design! I would live to see a house tour of your new home! Awww what a tease! I was hoping to see the closet today :) Well you better believe I will be back. I’ll be moving within the next year and a “dressing room” is on my list for the new place! I can’t wait to see your space for inspiration. Ah I cannot wait to see the reveal of your closet/ office space! 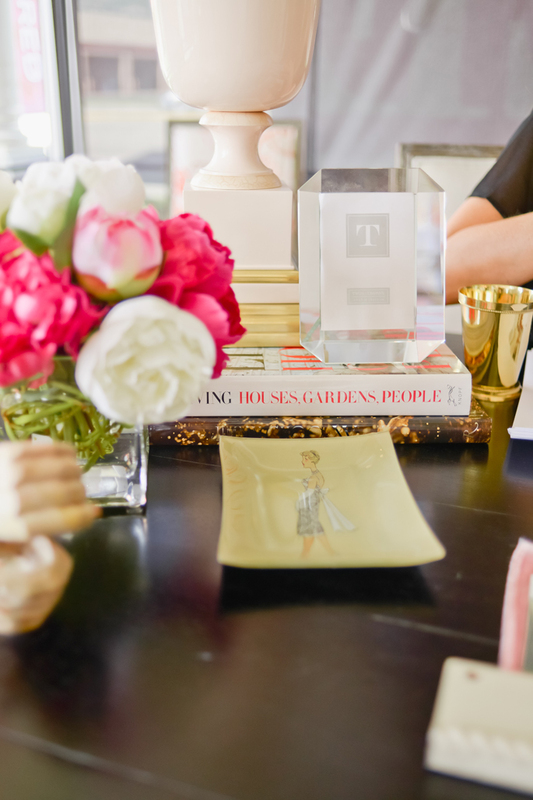 I love seeing the interior design side to my favorite fashion bloggers! Excited to see your style shine through in your Home Decor and everything else that is right up my alley! How exciting!! Can’t wait to see the results of your hard work! I can’t wait to see! and I love that pink and gold lamp in the fourth picture down. definitely going to have to visit there my next trip to slc. wow I can’t wait to see!!! I absolutely love your interior design skills! Can’t wait to see how it turned out! I can’t wait to see the space! This boutique looks beautiful and I’m sure the new space is beautiful also! This post is such a teaser!! I can’t wait to see the final result!! Can’t wait to see the big reveal on Monday!! Great prelude! Can’t wait for the big reveal!! Congratulations on having the office/closet of your dreams, Rach! You’ve worked very hard for it! I’m so excited to see the reveal! Your house is gorgeous, I can only imagine what amazing ideas you came up with during your collaboration! you are so lucky and blessed, I admire you. I can tell you are a beautiful soul too please keep doing what you do it’s very inspiring. I love Alice Lane Home! How fun that you got to work with them. I can’t wait to see the full room! Very excited to see the closet. Where is your jacket from. Love it! The anticipation is killing meeee! Reading this made me so excited for the reveal! I know it’s going to be gorgeous. Plus Alice Lane has a beautiful office space as well. I can’t wait to see!! Your house looks amazing from the posts on instagram and I can’t wait to see more! And where is that top from? It’s GORGEOUS! Ahhh I am so excited to see the reveal!! Can’t wait to see what you reveal. Great pics here! mmmmm cant wait to see your closet!!! Totally dying to see the whole closet+office! From what you’ve posted so far it looks like every woman’s dream closet! I’m really looking forward to the reveal, especially if these photos are anything to go by, along with what I’ve seen of the website to the Alice Lane Home Collection!! Where’s that white and gold lamp from?! I love it! Have to have that. Yay! I have never commented before but got so excited when I saw this I gave a little gasp and when my son asked what was wrong I told him I was so excited to see this closet. He thought I was nuts. Guys, even little ones, just don’t get it. I love your home more than any I’ve ever seen and I’m always on pinterest and interior design blogs. I like French country but with modern touches and you’ve accomplished that perfectly. Pleeeeease do home tour post. You have exquisite taste. Could you let me know which cabinet hardware you used in your kitchen and bathroom? LOVE all the details in your home!! I can’t wait to see your closet! You have great taste! Can’t wait to see what it looks like! I’m sure it will be so feminine and tastefully done! Will be looking forward to more posts! Wow! Can’t wait to see the result! How crazy you got to collaborate so easily!! You’re so lucky. And so chic! How do you look that glam all the time?! :) Love everything in these photos! I can’t wait to see the final product! I love creative work and closet spaces. The fabric swatches look amazing as it is. Love your blog and have been obsessing over you kitchen. I’m in the process of a total home Reno. It’s a 1920’s dutch colonial. I’m using calcutta marble and want to bring out the warmer tones in the veining with my hardware. Can you tell me what finish you picked in the kitchen? I’m using Waterstone faucets, but I’m nervous about finalizing the finish. Thank you so much for your response! That will be gorgeous for sure ! Can’t wait to see where will the peonies ;-) My fav flowers! I use peonies everywhere … have a look on IG @by.sophiekatt and FB Facebook.com/boutiquetheplacetobuy. Have a good day, Girls! Is the desk from Horchow? The Anjali desk? I got the desk from Alice Lane. If you call them I’m sure they can get you all the info. I’m not sure what the desk name is. Where is the beautiful animal print carpet from? Amazing room!